Kane joined the team in 2018, helping with catching and survey efforts of spoon-billed sandpipers and other wader species in China. Kane works in the Conservation Science department of the Wildfowl & Wetlands Trust (WWT). His main interests lie in species monitoring and in particular, water bird ringing/banding. 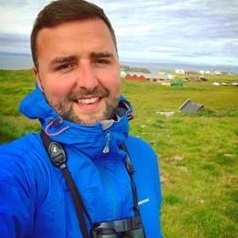 Kane has been a licensed bird ringer in the UK for 15 years and has travelled extensively to undertake ringing work globally.